After having dinner in Modern Shanghai, we were supposed to just stroll around to let the food settle and return back home. 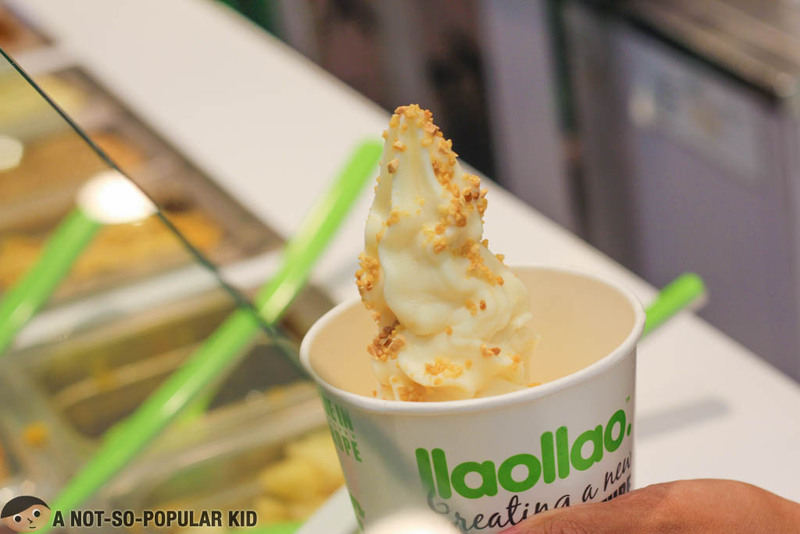 We were very much sticking to this plan, until our peripherals saw this brightly lit stall with a semi-neon green logo -- Llao Llao! The impulse started to build, and soon enough, we were already lining up the queue. 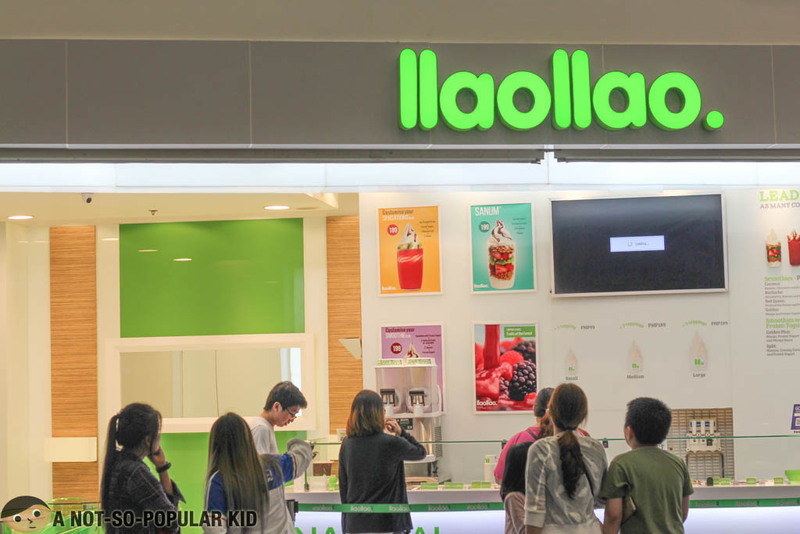 Llao Llao has been my favorite yogurt place, ever since I first tasted it in Glorietta, which by the way you may want to remember back here -- Llao Llao's Natural Yogurt in Glorietta. Anyway, for this night, my siblings and I just shared one large cup (P199). This entitles you to 3 toppings, and by the way the syrup is counted as a topping. As for the reason why we just shared with just one, well let's just say that we don't want to put on more weight. Plus, sweets are still not that healthy for the body. (Although I really wished I had one for myself, pretenses aside). To avoid confusion, the photo above is not what we had. I just took photo of it for your reference. It's called Sanum and priced at P199 as well. 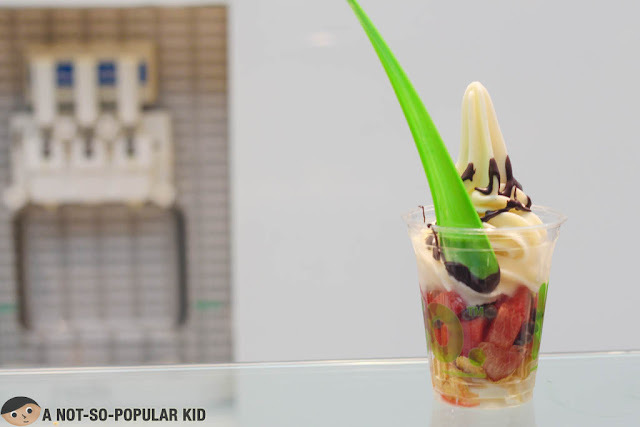 It's almost the same as the large cup, but for Sanum, the toppings are pre-selected (fruits to be more specific). Now, here is what we ordered - Large Cup of Llao Llao. For the three toppings, we three agreed to have almonds, mangoes and lotus biscoff syrup. To date, this is the best combination I had so far, so I'm urging you to give this try as well. I love the combination of the flavors and the almonds gave it a playful crunchy texture. On top of all, the yogurt is really the bomb -- rightly sweet and have that zesty sourness that will unleash the kilig like a teenage boy. The night ended literally sweetly, and it's one of those nights that made its way to my core memory, in the world of Disney's Inside Out. 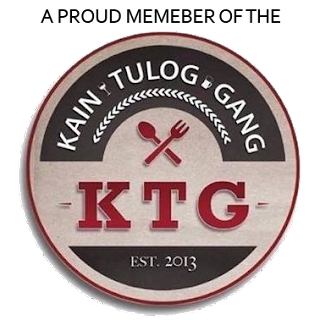 With that, I realized that food does not only work its way to our stomach, sometimes, with the right moment they also get etched in our memories. 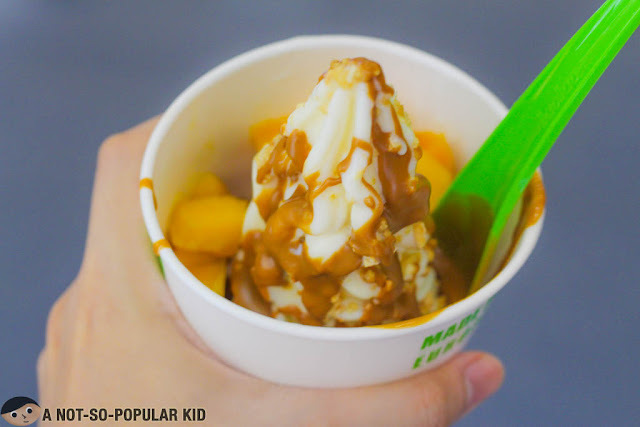 If you are curious as how Llao Llao fares with its competitors such as Pink Berry, I dedicated a post comparing the two world-famous yogurt places. 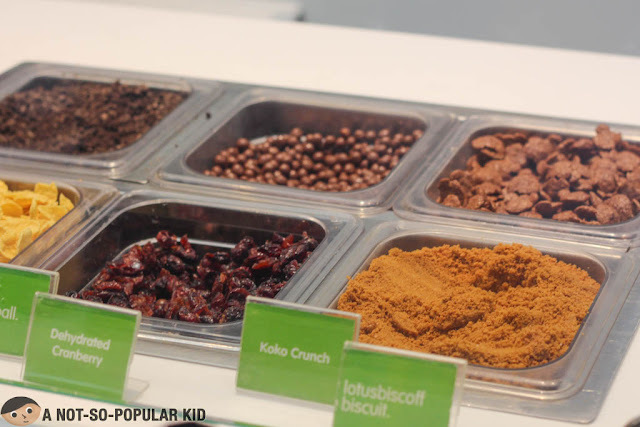 I labeled the article Yogurt War: Pink Berry vs Llao Llao. I'm sure you have an inking which one we prefer more, but at least you'll understand our reason behind. 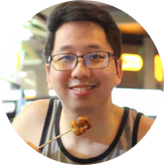 Thanks for dropping by the blog! I hope you'll visit more often, and of course I'd love to interact with you.